The product name is too long to fit on one line…! It must be one of the longest Nendoroid names yet…!! But just like the name, the product itself is packed with volume – all of which I’ll be taking a look at today!! 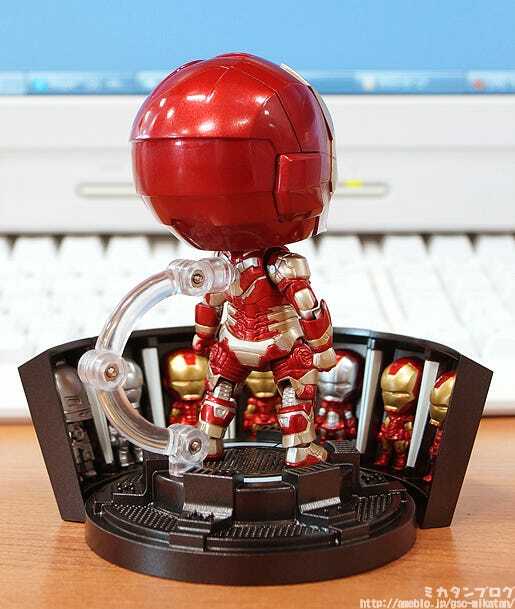 From the much-awaited sequel in the Iron Man movie series ‘Iron Man 3’ comes a Nendoroid of the Iron Man Mark 42 Suit! 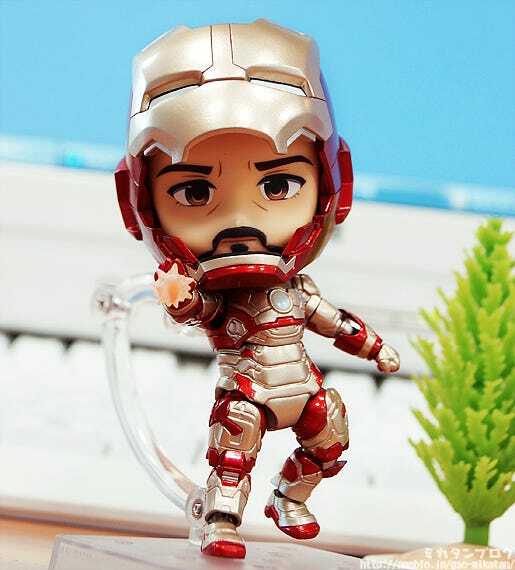 The design has changed considerably compared to the previously released Mark 7, but is once again fully articulated allowing for epic poses that still look adorable in Nendoroid size! 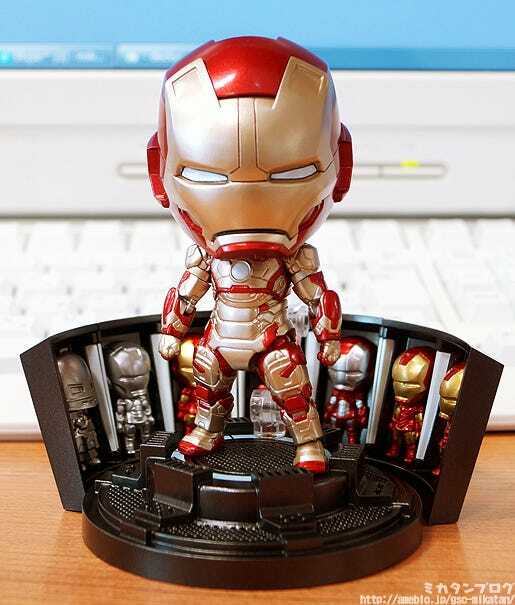 All the elaborate details of the Mark 42 have been faithfully sculpted and painted to make a Nendoroid that fans will be proud to display! 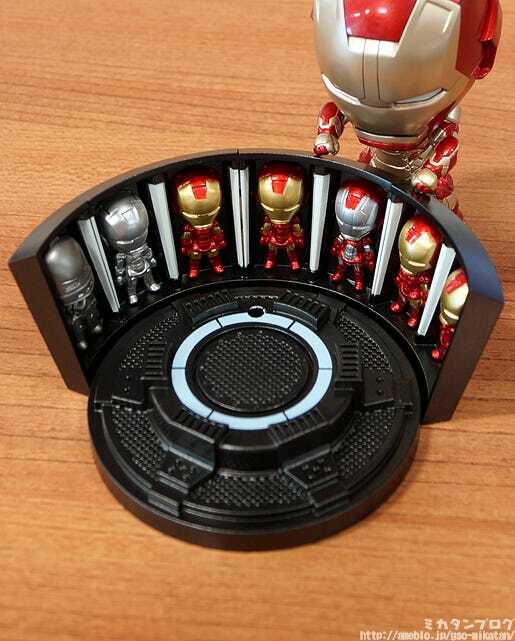 Along with the Nendoroid itself, a miniature ‘Hall of Armor’ is also included which features the Mark 1 through Mark 7 suits all lined up, and also acts as a display stand! Various other optional parts are also included to help you recreate your favorite scenes from the movie! 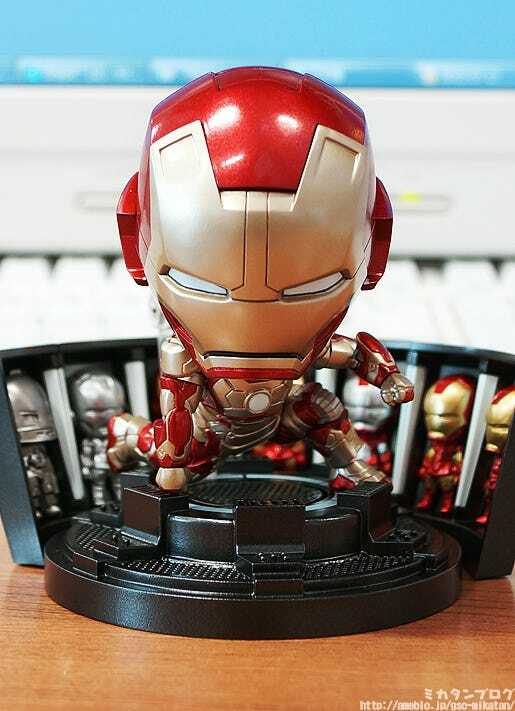 Any fans of the Iron Man series are surely dancing with excitement after seeing this incredible dioramic stand!! It’s so amazingly detailed that I almost can’t believe it’s just the stand! I’ll be taking a closer look at the Hall of Armor shortly!! As a side note, I just found out that the number 42 is the “answer to life the universe and everything”. Kevin from the web team told me to type that into Google and I was rather surprised when a calculator came up with ’42’ as the answer! The Hall of Armor is incredible!! The sculpting and paintwork differs on each of them! The famous scene from the movie where Tony puts on the Mark 42! 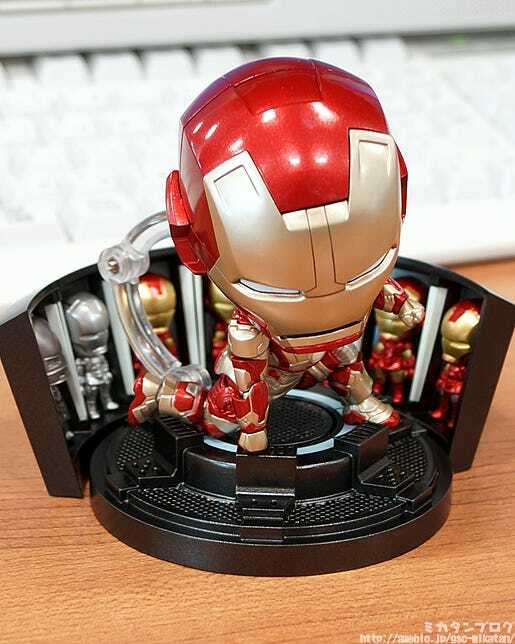 After jumping up in the air to attach the face plate, he flips down into this pose with one hand punching down onto the ground – that punching hand is of course included! 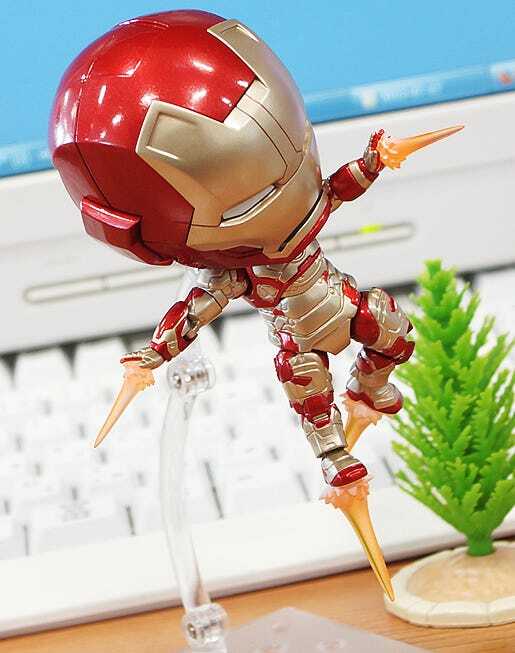 This pose was probably quite a hurdle for a Nendoroid, but it’s come out looking amazing! Let’s have a look from another angle! Figures allow you to take your favorite scenes from the movie and keep them right beside you to enjoy whenever you like! The Hall of Armor in the background helps to achieve this even more, as it really helps you to remember the scene perfectly! Effect parts are included too! The mask can be opened and closed! 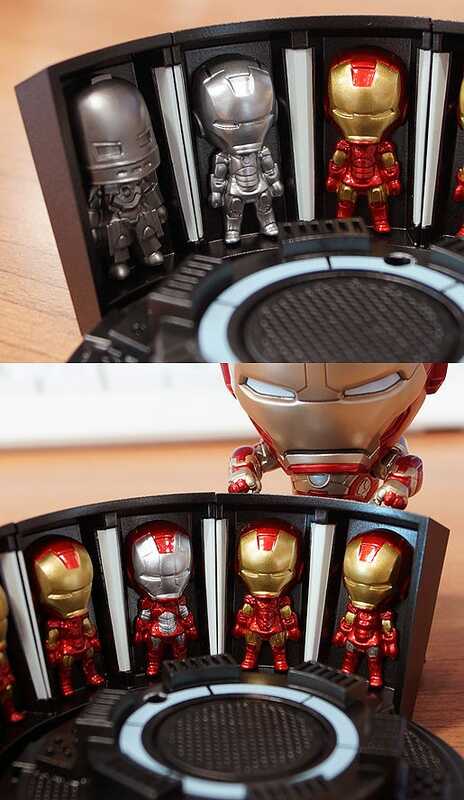 Just like the Mark 7, the mask can open up to reveal Tony Stark’s face! 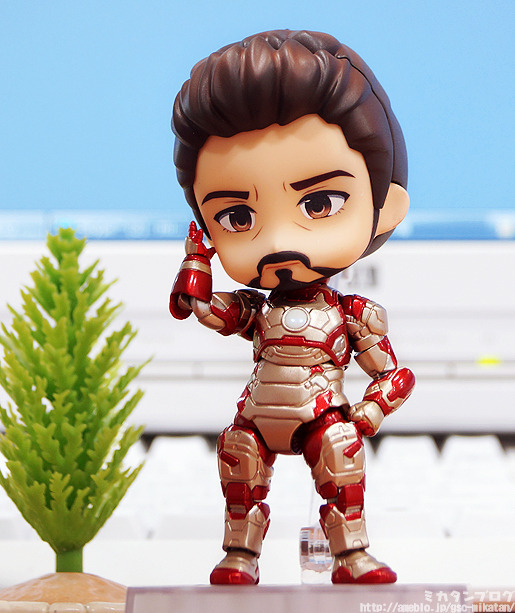 This was one of the biggest highlights of the previous Iron Man Nendoroid, so it had to be included once again! And it’s included again this time around! I think the expression this time around has a bit more of an uneasy feeling to it when compared with the previous one! A lovely addition indeed! 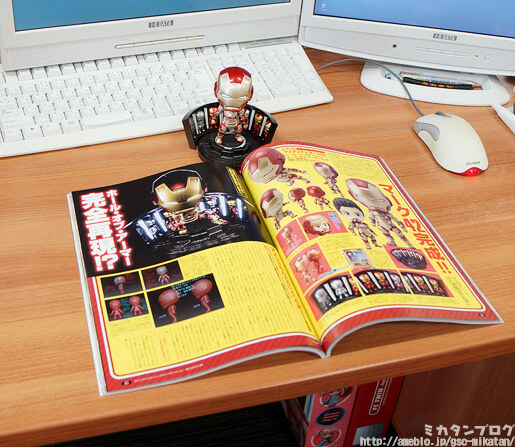 He’ll be up for preorder from the 25th July 2013!